MYTH: Maternity clothes will make me look pregnant. REALITY: Maternity clothes are made the flatter the figure of someone who may have a belly. You may actually look slimmer wearing this style when you're not pregnant! This maternity sweater fits closely around the belly and is universally flattering with its unique kimono sleeves. 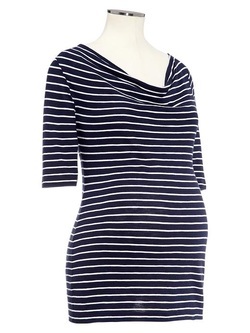 GAP's maternity clothes flatter a woman's figure. 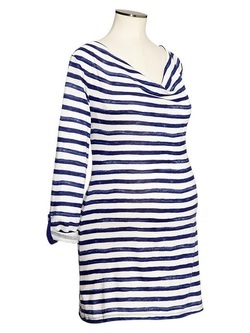 Maternity tops fit closely on shoulders, chest, and arms. You've also probably noticed the trend to show off rather than hide a prego belly; maternity clothes are no longer big and poufy--many are form-fitting! 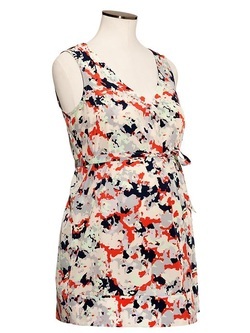 With or without a big belly, maternity clothes strive to emphasize your best assets. Maternity tops are longer, which is a plus for many of us, and they sometimes have close-fitting or tapered sleeves--always pretty. 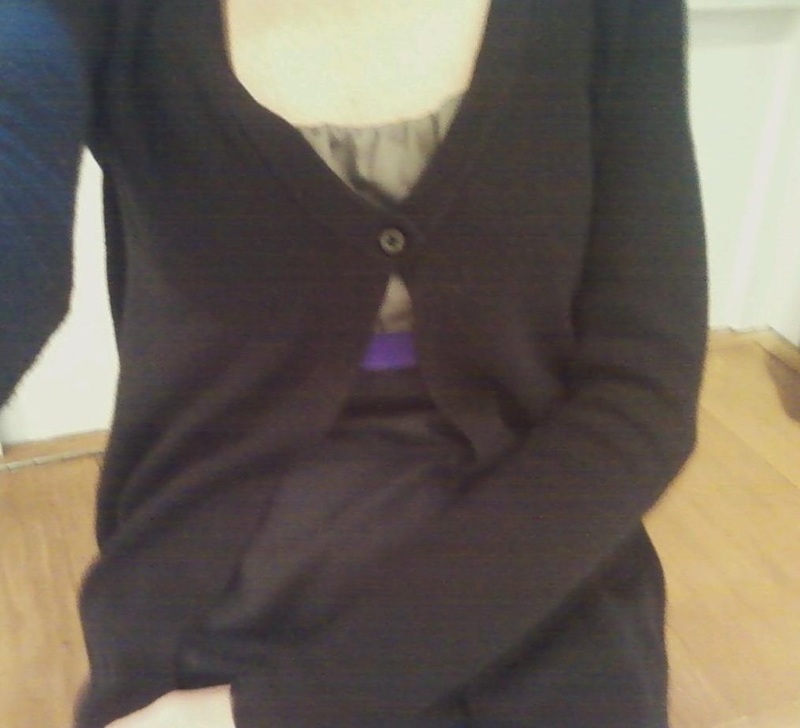 On occasion you may need to add a belt (something pregnant women wish they could add) to highlight your waist. Your maternity sweaters and shirts will be long enough to accommodate even a wide belt. Many have ruching (gathered folds) rather than extra material. Ruching camoflages and moves with you. Warning: You should buy new maternity clothes, not wear the ones you wore during your pregnancy which will be stretched out and which may be sized bigger than you need. Picture any of them with a belt. Many maternity cardigans have an open front or a one-button closure--you don't have to be pregnant to wear this modern style that layers perfectly over a t-shirt, blouse, or dress.